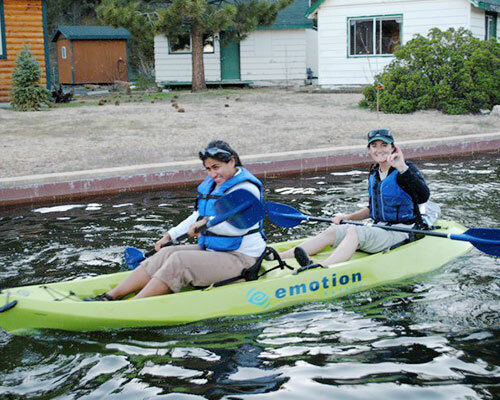 Big Bear Lake boat tours departing from Captain John’s Fawn Harbor & Marina Big Bear are an environmental friendly way to enjoy yourself or to spend time with friends or family. 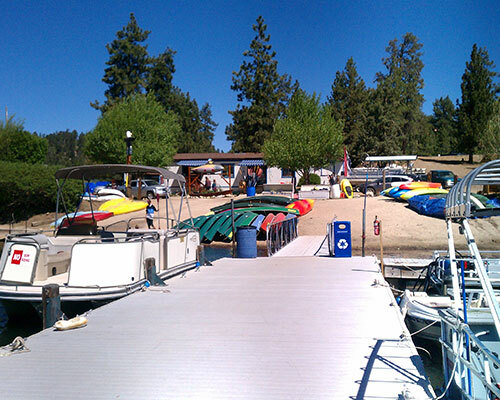 Our lake marina offers several options for visitors and locals. 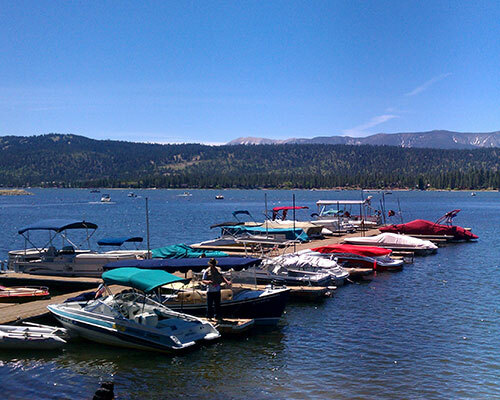 Big Bear Lake boat tours are regularly scheduled 2 hour excursions that are perfect if you want to enjoy the outdoors, learn about Big Bear history, and discover little known secrets about the mountain lake resort. Each Captain shares his or her unique experiences and stories–making each trip unlike any other. Because our focus is to provide a memorable voyage, each tour is limited to 12 passengers which means you will be in an intimate setting and enjoy the chance to converse with each other and the guide. You won’t find a crowded noisy experience on board–quite the opposite. 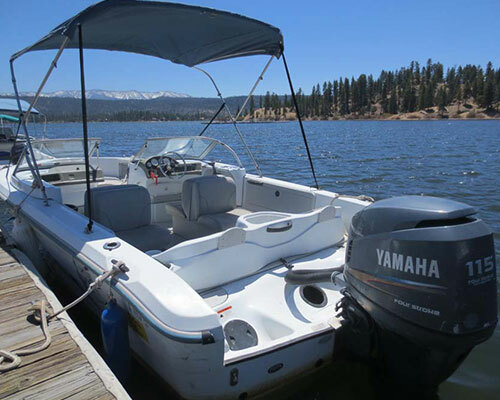 Captain John’s Fawn Harbor & Marina Big Bear is proud to say that our lake boat tours are the only eco-friendly lake boat tours in the Big Bear area. 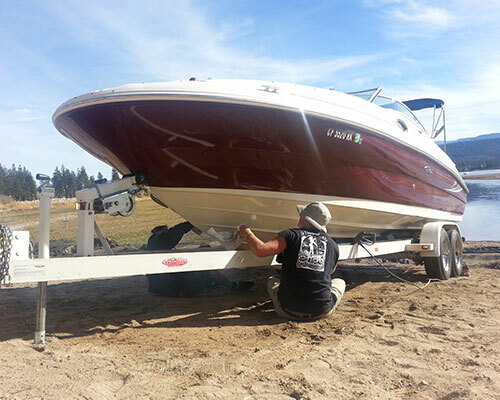 This means, that once you climb aboard, no fumes or engine noise will disturb or interfere with your experience. 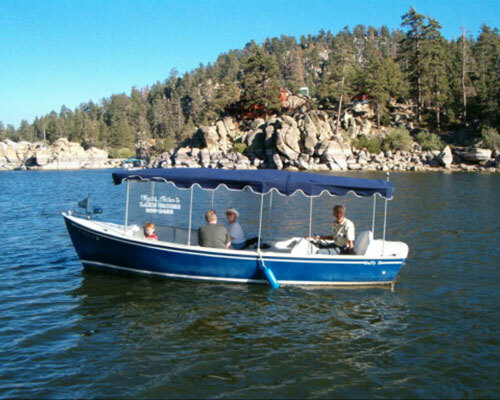 Although we have a fleet of different vessels, we love our Duffy whisper electric boats and think you will too. 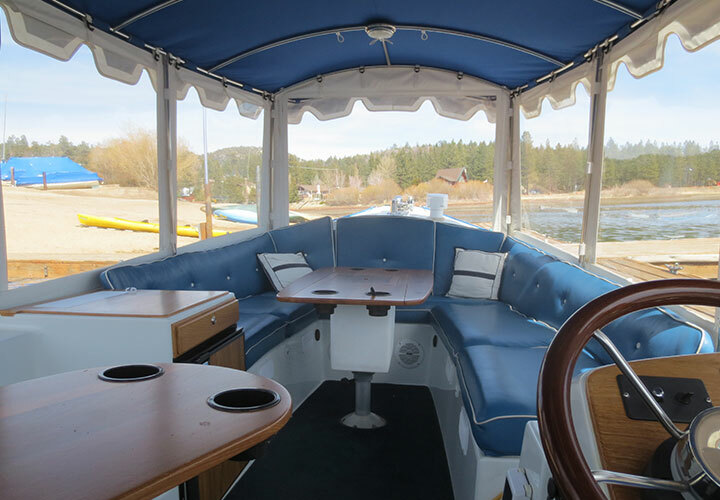 Whether you board the Rosebud or the Serena, you’ll be protected from the elements and positioned comfortably in the cushioned seating area. 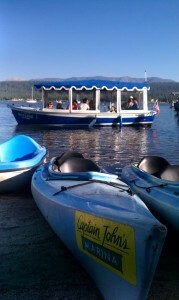 Currently we have multiple Big Bear Lake boat tours schedule to depart on the weekends. Departure is contingent on a minimum of four passengers so call ahead to make your reservations. We also offer weekday excursions by reservation or feel free to contact the marina for more information on a private boat rental instead. 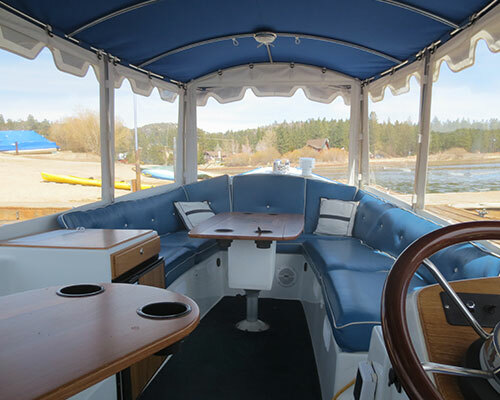 We invite you to climb aboard for one of the many different Big Bear lake boat tours or Big Bear Lake boat cruises –call us today for more information. 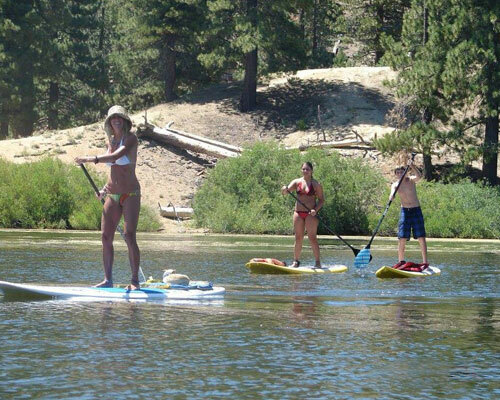 Map / Directions Call Us: (909) 866-6478 Book Online! Tours only run Friday, Saturday and Sundays.